It gives a broad knowledge of the functional aspects of a business and their interconnection to the students and also offers specialization in particular areas. This program exposes the students to a variety of subjects and allows them to specialize in a specific area academically. The duration of this course is usually three-years but many colleges also offer it as a part time course for a period of four-years. Students become eligible to apply for BBA course only after completing 10+2 level examination or higher secondary examination from a recognized board or council in India. Aa a growing commercial and financial hub, India offers an immense career growth potential for its youngsters. The BBA program helps in developing the intellectual and managerial skills of a student by offering them a combination of general and business education. Students can work in sectors like Insurance, Finance, Marketing, FMCG, Manufacturing, Pharmaceuticals, and Retail with lucrative remuneration packages, after completing their course curriculum. India has a long list of colleges that are offering BBA course to the students, but you have to find the best one for yourself. The various factors that should be considered while choosing the best college as per your needs and requirements are, course details, fees, placement records, students and teachers’ reviews, etc. Let’s find out the top colleges for BBA in Delhi. 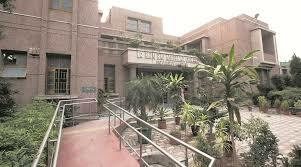 It is a constituent college of the University of Delhi and was established in the year 1987 by the Ministry of Human Resource Development as the first collegiate business college in India. This institute is recognized by UGC and MHRD and accredited by NAAC-A. The registration is done in online mode. Interested candidates can submit the application form on the official website of the institute. The selection is done on the basis of entrance test namely DU JAT. Shortlisted candidates on the basis of their performance in DU JAT exam will be considered for admission. To apply for BBA course, a candidate must clear his 10+2 in any discipline from a recognized board. Companies like KPMG, MCkinsey, Bains, E&Y, CBS, etc. come to the college as top hirers. The average salary package offered here varies from Rs.6 lakhs to Rs.8 lakhs per annum. NDIM is a Private Institute which was established in the year 1992. The Institute is approved by All India Council for Technical Education (AICTE) and is affiliated to Guru Gobind Singh Indraprastha University (GGSIPU). Final Selection to the program will be done on the basis of scores obtained in CET Entrance Exam followed by counselling conducted by GGSIPU. Candidates looking for admission to the BBA program must score at least 50% marks in 10+2 with English as a subject. Rs.73,300 per year for three years. The average salary package offered is Rs.5 lakhs. The top hirers here are Amazon, S&P Capital IQ, IBM, Kotak, Citibank, CEAT, etc. It is a leading State Private University and was established in the year 2004. This institute has been recognized by the UGC. MRU is NAAC Accredited ‘A’ Grade Institution. MRU has been bestowed with QS I-Gauge Gold rating and the QS I-Gauge Diamond for Employability and Facilities. Manav Rachna University (MRU) is the founder member of the prestigious “College Board’s Indian Global Higher Education Alliance”. The candidates have to pass in 10+2 examination with at least 50% marks in aggregate to be eligible for admission to BBA course. Candidates have to clear SAT/MRNAT to get final admission to the college. Rs.161,000 per year for three years. The top hiring companies coming to the college are S&P Capital IQ, Ericsson, Accenture, HP, IBM, TCS, etc. and the average salary package is of Rs.6 lakhs. It is a private institute established in the year 2010. It also got its accreditation from NABET (National Accreditation Board of Education and Training). The institute has also been consistently winning awards for being the best in banking education every year and has been written about in all English Newspaper dailies of India. To be eligible for admission a student must have passed in 10+2 or HSC in Science / Commerce / Humanities from a recognized board with minimum 50% marks in best 4 subjects including English. The final admissions are based on a valid score in TKWs BAT / UGAT / SAT. Rs.103,333 per year for three years. Yes Bank, Axis Bank, Fidelity Investments, SMC Global, IDFC Bank, Deutsche Bank, Kotak Bank, DBS Bank, Standard Chartered, Federal Bank, RBS, Shriram Capital, Citi Bank, Paytm, ICICI Banking, IIFL, Ernst & Young, American Express, IDBI Bank and many other companies come to the college for hiring candidates. The average salary package offered is Rs.340,000 per annum. BVMIR is a private institute established in 1992 and is an ISO 9001:2015 Quality Management System and ISO 14001:2015 certified institute. It has been rated AAA+ in North India by Career 360 Magazine, 2017 and Ranked among top 75 B-School in India by NIRF 2017. The institute has been accredited by NAAC-A and recognized by NBA and AICTE. The eligibility for BBA course is 10+2 from the recognized board. The candidates are finally selected after clearing BU-MAT examination. Rs.140,000 per year for three years. Some prominent recruiters of the institute are HDFC Bank, HSBC Bank, ICICI Bank, IBM, Wipro, Deloitte etc. This college offers an average salary of Rs.680,000 per annum. This is a private institute which was established in the year 2016. It is recognized by BCI and UGC. It was founded by the Times of India Group. Candidate must have completed 12th standard with 60% marks and having Maths and English as compulsory subjects to be eligible for this course. Candidates need valid scores in SAT examination conducted by The College Board followed by English language proficiency test. Rs.250,000 per year for three years. The average salary package is Rs.780,000 per annum and the top hiring companies are Deloitte, HDFC Bank, HSBC, Intel, Escorts, Hindustan Unilever Limited, etc. Galgotias Business School is a private institute established in 2007 as the third college in the league of Galgotias Educational Institutions. GBS is AICTE approved institute. Admission to the BBA is done on the basis of merit of the candidates in the 10+2 level examination with minimum 60% marks in best four relevant subjects. Business School of Galgotias University conducts both online and offline application process. Rs.87,000 per year for three years. Some prominent recruiters of GBS are- Accenture, HDFC, ICICI, Citi Bank, Cognizant, Infosys etc. The average salary package offered is Rs.5 lakhs per annum. It is a Private institute which was established in the year 2010. The institute is affiliated to Maharishi Dayanand University and approved by All India Council of Technical Education (AICTE). SAITM is also accredited by National Assessment and Accreditation Council (NAAC-A). Admissions to BBA programs are done on the basis of marks acquired by a candidate in 10+2 (Relevant Stream) or equivalent with minimum 45% marks. Final Selections to the programs are based on the valid score in SAJEE Entrance Exam followed by Counselling conducted by SAITM. Rs.64,000 per year for three years. The average salary package offered is Rs.4.3 lakhs per annum. The companies like Tommy Hilfiger, Amazon, Genpact, Dyson visit the campus for hiring candidates. It is a state university previously known as Chhotu Ram State College of Engineering. It is accredited by NAAC with Grade ‘A’ and NBA. This institute was established in the year 1987 and is recognized by the AICTE. To apply to the BBA programs, the eligibility is scoring 40% marks in 10+2 from a recognized board or an equivalent examination. Final Selections to the programs are based on the valid score in the Entrance Exam conducted by the university. Rs.45,150 per year for three years. The average salary package is Rs.5 lakhs. Top hirers are Mediatek, Libsys, TCS, Idea, Tech Mahindra, etc. AGBS is a private institute which was established in the year 2008. AGBS Noida provides a unique Study Abroad Programme for it’s Under Graduate and Post Graduate students enhancing their social skills by giving them excellent exposure and cross-cultural orientation. The foreign campuses include Dubai, New York, Singapore, Australia, London, and Troyes – France. To be eligible for admission to this course, the candidate must have passed 10+2 with minimum 50% marks from a recognized board of the country. 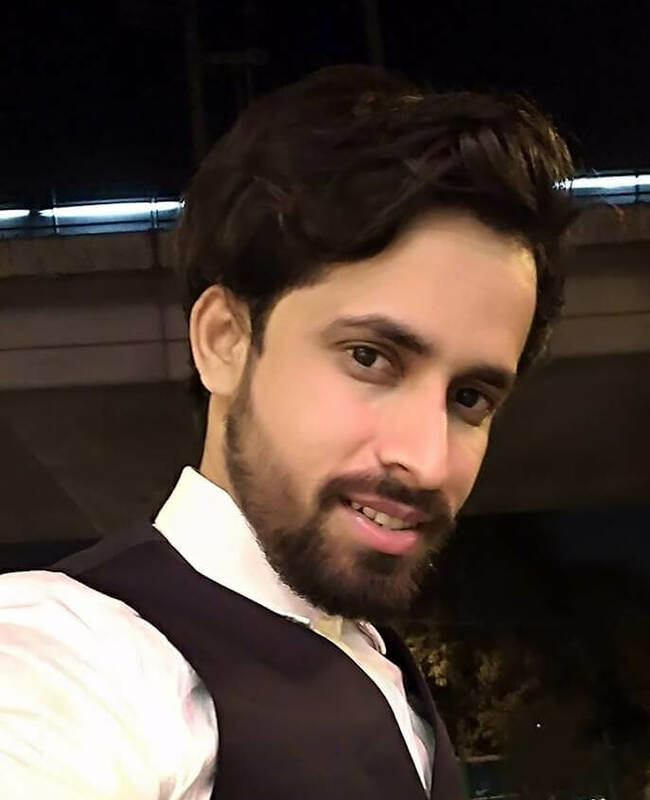 Final selection is done on the basis of percentage scored in the qualifying exam, English Essay Test and Interview conducted by the institute. Rs.264,000 per year for three years. The CRC Team of AGBS ensures 100% placements for all its students. The average salary package offered to the students here is Rs.6 lakhs per annum. The top companies that visit the college for hiring are Coca Cola, Asian Paints, ITC, Wipro, Pepsico, HDFC Bank, Reliance, Airtel, Vodafone, Radisson, Axis Bank, HCL, TATA, Kotak, DHL, IRCTC. It is a state university and is presently known as J.C. Bose University of Science and Technology. It was established in the year 1969. The institute has been recognized by the University Grants Commission and approved by AICTE. It has been accredited by NAAC. The institute is a joint venture of the National Council of YMCAs of India, Govt. of Haryana, and the Central Agencies for Development Aid, Bonn, Germany. A candidate is eligible for admission to this course after completion of 10+2 with a minimum of 50% marks from a recognized board of the country. The final admission to the course is given to the candidates on the basis of merit scored in the qualifying examination. Rs.74,180 per year for three years. The recruiters for this institute include Grappus, Just Dial, Omax, OYO, New Holland, IFB, etc. The average salary package that is offered to the candidates here is Rs.4 lakhs per annum. It is a deemed university that was established in the year 2014 by “The Hero Group”. The institute has been approved by the University Grants Commission (UGC) and the All India Council for Technical Education (AICTE). The registration is done through both online and offline mode. Eligible candidates are required to submit the application form on official website as well as they can download the same. The admission to BBA is done on the basis of merit in qualifying exam. Candidates with at least 70% in 10+2 level can apply for the BBA course. The average salary package is Rs.7 lakhs per annum. The core companies visiting the campus are ITC, TCS, Relaxo, Yes Bank, Coca Cola, HERO etc. MSM is a private institute established in the year 1996. The college is affiliated to Chaudhary Charan Singh University, Meerut and approved by AICTE, New Delhi. Admission of the applicants is given based on the merit obtained in the qualifying examination followed by their performance in Group Discussion and Personal Interview. Those who have passed 10+2 in any discipline with minimum 50% marks are eligible to get admission to BBA course. Nest Technologies, Accel Frontline Company, Infosys, ING Vysya Bank, Exide, Bayhub, etc. are the companies coming to the college. The average package is Rs.2.5 lakhs per annum. It is a state private university established in the year 2006. It has been recognised by NCTE, COA, PCI, BCI and UGC. It aims to perpetuate a culture of hard work, embracing change and preparing oneself for the fast-progressing world with the latest skills and the highest level of social and personal values. To be eligible for admission to the course, the candidate must have passed his/her 10+2 with minimum 65% marks from any recognized board of the country. The final admission is based on the marks scored in MUEE with merit in the qualifying examination including interview conducted by the university. Rs.80,000 per year for three years. The average salary package offered to the students of this institute is RS.6.75 lakhs per annum. The top companies hiring candidates from the institute include Infosys, TCS, Wipro, HCL, Capegemini, Genpact, Idea, Google, ITC, Vodafone, HCL technologies, Unisys, Syntel, ICICI Lombard, Lava Mobiles, Reliance, HP, etc. This is a private institute which was established in 2008 under K. K. B. Charitable Trust. It is a constituent college of Swami Vivekanand Subharti University, Meerut. The institute has been recognised by the AICTE. The candidates must have passed their 10+2 with a minimum aggregate of 45% marks from any recognised board of the country. Admission is offered on the basis of merit in the qualifying examination. The top companies that come to the institute for hiring are Siemens, Canara Bank, HCL, HDFC Bank, Infosys, etc. The average salary package is Rs.5 lakhs per annum. It is a private institute established in the year 2004 by DPG Group to cater the needs in the development of technocrats and to provide facilities for educating and training in order to meet entrepreneurial and management needs. It was recognised by the AICTE. For admission in the BBA course, the candidate should be a pass in 10+2 examination from recognized Board/University with any stream with minimum 45% marks in aggregate. The final admission is given to the candidates on the basis of merit scored in the qualifying examination. Rs.55,500 per year for three years. TITAN, NIIT, Toyota, Ford, Suzuki, CPR, TCL, Infosys, Genpact, Aircel, Reliance, Religare and many more are the top hiring companies at the institute. The average salary package is Rs.4 lakhs per annum. GDGU is one of the emerging top-ranked Private Universities in the Delhi NCR region and was established in the year 2013. The University is approved by UGC, NCTE, COA, PCI, and BCI. For admissions to the BBA program offered by GD Goenka University, candidates must pass 10+2 or equivalent with minimum 40% marks in aggregate. The admission is Merit-Based followed by a Personal Interview conducted by the institute. The top hiring companies for the institute are Aditya Birla Group, Amazon, Carrier, EIL, Ericsson India Pvt. Ltd., Ernst and Young, Genpact, Grasim, IBM, Idea, Maruti, NTPC Limited, Ashok Leyland, Essar Group, HDFC Bank, HP, IBM, ITC, etc. The average salary package for the candidates is Rs.5.5 lakhs per annum. This is a private institute which was established in the year 2007. It has been recognised by the AICTE. It offers various levels of UG and PG courses under the field of management. The eligibility criterion for the BBA course is to pass 10+2 with more than 45% marks from a recognized board. Application form can be filled online through official website. Admission is based on merit in the qualifying exam for the course. The major companies visited our campus as HCL, Infosys, Cognizant, Home Credit and many others. The average salary offered is Rs.5 lakhs per annum. It is a private institute and has been accredited by NAAC-A and NBA. 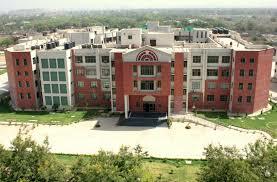 This college affiliated to Guru Gobind Singh Indraprastha University, Delhi. It has also been recognised by AICTE (All India Council for Technical Education). It is one of the extended parts of United Group. Eligibility Criteria for BBA course is to pass in the class of 10+2 from CBSE Boards or equivalent with a minimum of 50% marks in aggregate and must have passed in English as a core/elective/ functional subject. To take admission in BBA, candidate will have to take a Common Entrance Test (CET) conducted by IP University. According to scores in this examination, students get admission through Common Counselling Session. Rs.44,400 per year for three years. The big companies like Infosys, TATA Consultancy, IBM, RBS, Sony, Genpact, Cognizant, Infosys, etc. are recruited students from the past years. The average salary package for the students here is Rs.4 lakhs per annum. Sharda University (SU) is a State Private University which was established in the year 2009. This institute has been approved by UGC, COA, BCI, INC, PCI and is recognized by MCI, DCI and NCTE. It is also a proud member of AIU and ACU. The eligibility criteria for BBA course is to Passed 10+2 with 50% marks in aggregate from any recognised board or university. Admissions to all the BBA course is based upon the online entrance test, SUAT, conducted by the university. The merit list of the selected candidates is made available on the university website and campus. The average salary package offered for the students here is Rs.12 lakhs per annum. The major companies like Amazon, Bank of America, Barclays, Cognizant, Genpact, Grail Research, IBM, Mahindra & Mahindra, MU Sigma, HDFC Bank, ITC, TCS, American Express, Vodafone, HCL, etc. visit the institute for placement. Keshav Mahavidyalaya is one of the renowned colleges with a great name in the education field. The quality education that enhances the skills of the students is another asset of Keshav Mahavidyalaya. With the best in class infrastructure and great staff, Keshav Mahavidyalaya is the best college to pursue your BBA. The course covers all the requirements that are essential in the present industry and makes the student’s industry ready. 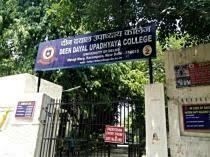 Deen Dayal Upadhyaya College is one of the prestigious colleges in Delhi offering BBA courses. The college is well known for its course curriculum that covers everything that a student needs to excel in the society. From infrastructure to the structure of the course, everything is commendable in this college. 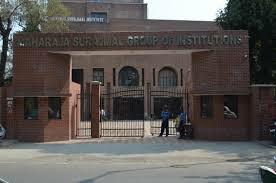 This is one of prominent management institute under Guru Gobind Singh Indraprastha University. The institution is known for providing management studies in different fields at both morning and evening shifts. The courses offered by Maharaja Surajmal Institute in BBA are general, banking and administration, tour and travel management. 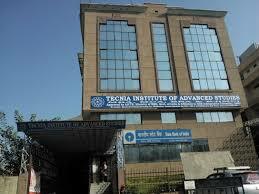 Technia institute of advanced studies is one of the best business management colleges present in New Delhi. The institute is known for its best in class education that is combined with skills which enhances the talents present in the students. Founded in 1997, the institute has always concentrated on providing quality education for its students. The students are selected completely based on their merit in 10+2. 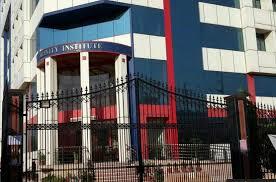 Trinity Institute of professional studies is affiliated to Guru Gobind Singh Indraprastha University. The management courses provided by this university are constantly upgraded to match the latest trends and are crafted in such a way that students bag a lot of benefits from it. JIMS Vasant Kunj is the name that you will find for sure in every best BBA Colleges in New Delhi list. It is one of the best BBA college present in New Delhi. They are known for providing high-quality education and on top of that, they equip students with skills that they need to get a good place in the industry. 50% in their 10+2 and are talented enough to get through CET exam conducted by GGSIPU. 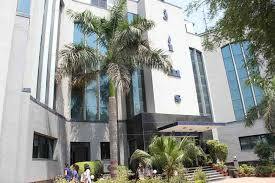 Maharaja Agrasen College is one of the best options if you want to pursue your BBA from Delhi. The college is known for its best in class education. The college provides it students with all the skills that they need to be ready for the market. The selection into this college is based on the merit of the student in 10+2. The increasing demand of management professionals has also increased the number of business institutes by leaps and bounds. Every institute has their own pros and cons. But the most important thing to remember is that you should not flow with the wave, rather judge an institute though different parameters before taking any final decision. Quality of faculty members: Most of the reputed BBA institutes expose their best faculty members. A strong faculty with qualified and experienced professors and lecturers take an institute to a different height. Check the faculty members, their qualification, experience from the website of the respective institutes, social media, and past students. Infrastructure of the institutes: Not only faculty members, you have to scrutinize the infrastructure of an institute too. No management education is complete without sufficient knowledge of data management and data analysis. 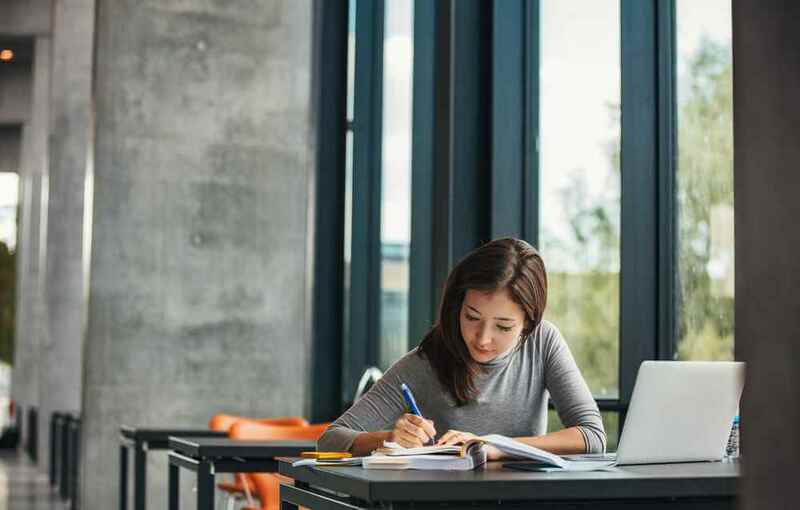 In an ideal institute, classes should be highly interactive with a good scope for the students to use important resources like computer software, the internet, library books, and journals, etc. the classes should be updated with all modern facilities. The fees structure: The best BBA institute will not keep any financial aspect hidden. They open up the expenses at the very beginning enabling you to take a prompt decision or your parents to arrange the budget. It is very important to consider the fee structure of the institute if it is as per your budget. Specialization Offered: If you are interested in management specialization, then check the specialization courses offered by the institute to its students. Most of these institutes come with a number of specializations in management and some other areas like engineering or technical fields. They should have experienced faculties in the specialized opportunities and sufficient other resources that ease the learning and enhance basic skills. Placement Opportunities: Every student wants to get good placement right after completing their studies. So, it is necessary to check the placement opportunities offered by the institute you are selecting. Always consider every single parameter as mentioned above while applying for the BBA course. Remember that a reputed BBA institute will always add weightage to your resume and thus it should not be ignored. Does Delhi University offer BBA? Answer- Yes, Delhi University offers BBA courses. It is now being offered in around 12 colleges of Delhi University like Shaheed Sukhdev College of Business Studies, Deen Dayal Upadhyay, Keshav Mahavidylaya, Gargi College among others. What is the average fees for BBA course? Answer- The average tuition fees for the BBA course in India ranges between Rs.1 lakh to Rs.2.5 lakhs. What are the subjects of BBA course? Is Mathematics compulsory for BBA course? Answer- No, mathematics is not compulsory to pursue the BBA course. You can opt for this course with any discipline in the 12th class. What is the average salary after passing BBA course? Answer- The average salary after passing the BBA course in India varies from Rs.3 lakhs to Rs.8 lakhs. 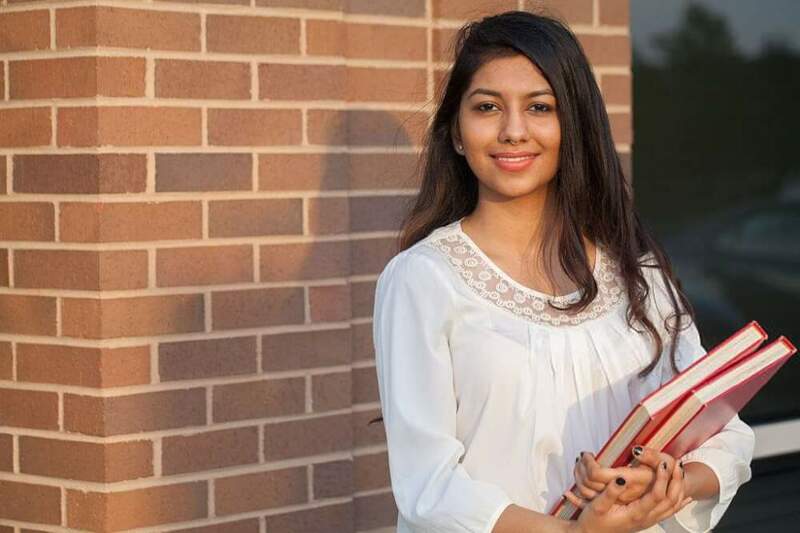 Which college is the best for BBA? Answer- There are many good colleges for the BBA course in Delhi NCR but the Delhi University is one of the best colleges to apply for. It offers good placement to the students after course completion. Which entrance examination is to be cleared for BBA? Answer- There is no any specific entrance examination for the BBA course. Every college/university has its own entrance examination for this course as per their standards. BBA is one of the most increasingly popular courses in India and its scope has been increasing day-by-day. The students get a good placement and career options after completing this course. But a college should be chosen very carefully as your whole life and career depends on it. Consider all the important factors required to get the best college for yourself such as placement records, fees, faculty, students’ experience, etc. We hope it was helpful to you in making the right choice..